I.T. Strategy and Planning just got Easier! Welcome to RED I.T. Solutions! Red I.T. Solutions is a managed service provider (MSP). We offer management and support of IT network-based services, applications and equipment. As businesses become increasingly dependent on IT, the need for a reliable MSP allows business owners and employees to focus on their core functions that are critical for daily operation. The scope of service provided by Red I.T. Solutions varies according to the customer’s needs and can involve simple system upgrades to full network management and support. The key element is that it is preventive and proactive in nature. We solve your Computer and network problems. Our skilled Technicians can tackle issues ranging from bad network cabling to virus and malware in your computer. We can discuss options and recommendations for new equipment or provide solutions for your current configuration and setup. We proudly specialize in technology information for businesses just like yours. Whether seeking solutions for your office or personal needs, our staff members will align you with the technology that can help you increase efficiency and productivity. After all, Red I.T. 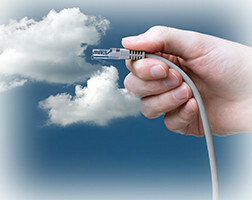 Solutions knows how important it is to stay fully connected to your customer base. Red I.T. Solutions can meet all your needs with our authorized reseller agreements with the big companies in the industry. We can sell software, cloud solutions, computers, servers, networking equipment and accessories, just to name a few, we are an authorized reseller for Cisco, MacAfee, AVG, Adobe, Lenovo, Microsoft, and Trend Micro. With an experienced staff, Red I.T. Solutions has helped businesses and organizations like yours with their technology needs. We solve issues with reliability, security and a helpful staff of people who care. Call today to schedule your technology consultation. We are your solution for all your I.T. needs. We offer onsite support for tasks or issues that require a personal touch. In addition, our quick response remote support restores service and gets you back up and running quickly. We can design, implement and support your entire network from the ground up or manage an existing network. Brian really impressed me. He was very professional, listened to my concerns and explained my options. He gave me the same level of service he would a huge firm. Brian has done so much for us—networked our computers, added RAM, helped us find the right adapters for our new monitors and set up dual monitors. He is always very pleasant, very professional and responsive. Red I.T. 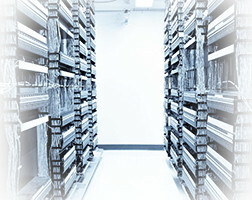 Solutions is very professional, knowledgeable and reliable in taking care of all my networks and computers. They are knowledgeable and always willing to go above and beyond. I always recommend this company to friends and business associates. The responsiveness of ticket request and friendly in-house service is outstanding! We needed a new file sharing solution. Setup went well, totally seamless, and everything works great. Brian knows what's he doing and it shows! Since Brian installed the new computer, the whole system has been flawless. His support is outstanding; any questions, he gets right back to you. In addition to his expertise, Brian is Honest and easy to work with. Up-front Pricing and no surprises. He's an outstanding professional we have and will continue to highly recommend!